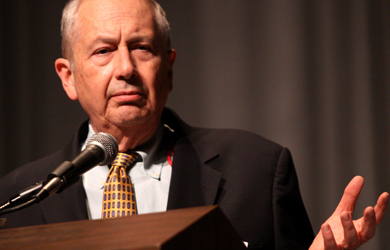 Back in March, Larry Pratt, executive director of Gun Owners of America, gave a radio interview in which he told the story of one of his group’s members threatening a member of Congress, which Pratt thought was just fine because the fear of being shot is “probably a healthy fear” for elected officials to have. A few months later, the exchange made it into a Rolling Stone profile of Pratt and caught the eye of Rep. Carolyn Maloney, who it turns out was the threatened congresswoman in question, and who immediately notified the Capitol Police. 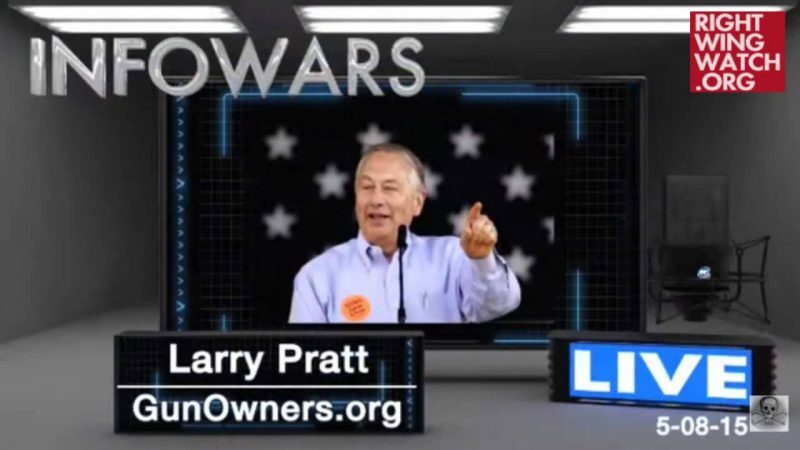 Pratt, in fact, was so delighted by the story of threats to Rep. Maloney that he told it last month to a gathering of the Constitutional Sheriffs and Peace Officers Association in Washington, a group that believes states and counties should ignore federal gun laws.